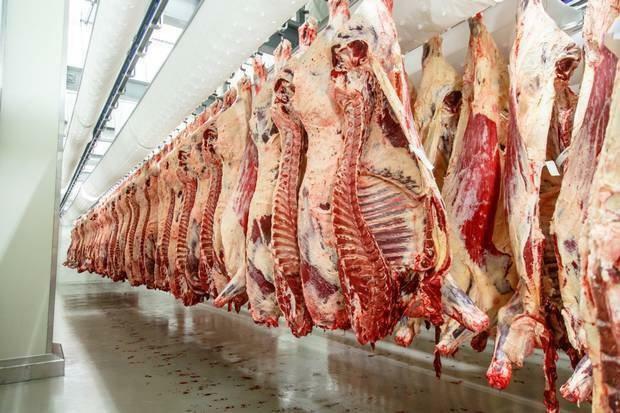 Meat factories have warned that the Central Bank’s prediction of a severe dip in sterling in the case of a crash-out Brexit would pile further pressure on weak beef prices. Major concerns have been raised about the competitive hit that the €12bn food export trade would take in the case of a massive currency swing. Meat Industry Ireland’s (MII) Cormac Healy said the food sector has had to deal with a steadily weakening sterling over the last two years. At the time of the Brexit referendum in summer 2016 the euro was worth 77p. However, sterling has weakened to 85-88p over recent months and the Central Bank has warned that it could fall close to parity in the event of crash-out Brexit. “A weaker sterling piles more pressure on the competitiveness of our exports, on top of the challenges of tariffs, import quotas and potentially increased international meat imports into the UK,” Mr Healy said. “We also have concerns about the impact of a disorderly Brexit on the economies and in turn, consumer spending in some of our important continental EU markets,” he added. However, the ICSA and IFA claimed that collapsing cattle prices meant farmers were carrying the can for the Brexit disruption. The ICSA estimates that Brexit is costing beef farmers up to €3.7m per week because of lower cattle prices. The drystock farmer body pointed out that steer prices have fallen 40c/kg since 2015, while heifer prices are back 35c/kg. The IFA put the losses since autumn 2018 at €100m. IFA beef chairman, Angus Woods, said the association had put the case for retrospective compensation for cattle farmers directly to the Agriculture Minister, Michael Creed. Meanwhile, the dairy sector is also facing increased costs as a result of Brexit. Ornua has warned that it faces €23m in extra charges in Britain in the event of a crash-out Brexit where harsh tariffs are imposed. Across the dairy sector the tariff hit will be around €55m, Ornua CEO John Jordan told the Farming Independent this week. Previous articleRobin Talbot: The politicians tell us they ‘have our back’ but where is the detail?